You’ve got an older sprayer. Your neighbours have newer sprayers. For various reasons, you’ve decided against a trade. How can you still get the benefits that newer sprayers deliver? Let’s explore how to improve your sprayer performance and productivity with strategic component upgrades. Nozzles. This one’s a no-brainer. Nozzles remain the cheapest and most important part of any sprayer, affecting coverage, drift, and accuracy. Although durable, nozzles do wear or get damaged over time. But perhaps more important is the changing use patterns of our pesticides. We are moving into a time of greater reliance on tank mixes that blend systemic and contact products, and also higher water volumes into mature canopies. For example, fungicides for Fusarium Head Blight benefit from twin fan nozzles. We’re also seeing new herbicide registrations with greater spray quality (droplet size) restrictions, requiring coarser sprays or higher water volumes to maintain acceptable drift amounts. Are your nozzles able to meet those needs? Nozzle bodies or turrets. As we move towards more specialty applications, perhaps we need a greater selection of nozzles at our disposal at any given time. Bodies with 5-nozzle turrets are standard on newer sprayers, and these make sense. Burnoff, in-crop, fungicide, and fertilizer nozzles are four that most users will need just from flow-rate needs alone. But some finer or coarser options of each may also be justified, and easy access saves time in the field. New bodies also provide new seals, and the newest offer higher flow rates and exchangeable parts. Boom end cleanout. Removing residue or air from booms is an important part of good practice. Many sprayers already have manual valves that allow this to happen relatively easily, but it’s still a process that an operator has to make time for. And on top of that, flushing boom sections results in massive doses of pesticide on the soil. One of the most innovative inventions in recent times is Hypro’s Express Nozzle Body End Cap. 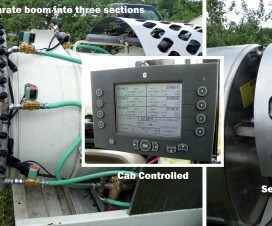 A DIY or dealer installation of these units allows your boom to bleed introduced air on the go. The ENBEC also forms a dead end exactly at the last nozzle position, eliminating the dead spots that introduce contamination after a pesticide switch. Cleanout and shutoff response also improves. A fast boom flush is straightforward by moving the turret to an open position. TeeJet offers a Rapid Stop extended inlet tube that evacuates trapped air from the wet boom, can be retrofitted on most bodies. Wilger Combojet bodies offer a similar design called Kwikstop. Both can be expected to improve shutoff response, but do not address boom end contamination. Wet boom. Are your wet booms made of plastic? If so, they can warp over time and are also harder to clean. Replacement wet booms are available from several suppliers, including Hypro and Wilger. These are made of thin-walled stainless steel for excellent durability and ease of cleaning. Wilger units are very thin and light and come with their own Quick-Nut fittings and feature swept elbows and Ts. Hypro’s Express Booms come with nozzle bodies and Express Nozzle Body End Caps. Flange fittings are used in the Hypro upgrade. New boom. Some people are recognizing the value of boom width in sprayer productivity and are considering a wholesale boom replacement from a third party. These booms come in wider sizes, lighter materials such as aluminum or even carbon fibre, and innovative plumbing options such as recirculating designs or telescoping for adjustable widths from 80’ to 150’. Perhaps a better suspension system or automatic boom levelling system is part of such a purchase. Individual nozzle shutoff. 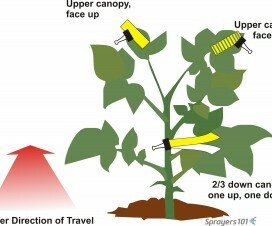 Most sprayers have sectional control of at least 5 sections. But some of the outer wings (the part of the boom that is most often involved in sectional control) can still contain significant lengths tied to a section, creating waste. With individual shutoff valves, a boom can be converted to either many smaller sections or even nozzle-by-nozzle sections, depending on the capabilities of the rate controller. Not only do these offer excellent resolution, they also feature instant shutoff and turn-on response at the spray pressure. Because this type of installation can demonstrate product savings, it has a calculable ROI. Rate controller. 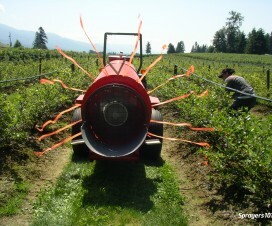 Some older sprayers struggle with responsiveness. An operator changes speed, and has to wait a long time for the rate controller to catch up. A newer controller can improve the responsiveness significantly, offer a new larger cab screen, work better with a navigation system, or even include ISO-BUS capabilities for future upgrades. Improving the user experience with a better interface can be valuable, giving an old sprayer a new capabilities and feel. Variable rate technology. We are seeing several options that can offer better control over nozzle flow rate to suit either a greater range of travel speeds (on hilly or otherwise uneven land) or a better range of rates for prescription map application. Pulse-Width Modulation systems from Capstan (Sharpshooter) and Case (AIM Command), Raven (Hawkeye), or TeeJet (DynaJet) all offer these types of features. A new nozzle body, Hypro Duo React, achieves similar results with multiple nozzles that can switch back and forth according to flow rate needs. Boom lights. Whether spraying at night or wishing to see spray patterns better in the day, boom lights can help. Versions are available from ATI or SprayTest. Caution is advised when spraying between evening and morning hours, as temperature inversions are common during that time. 3″ plumbing. One of the biggest productivity tools is decreasing the time required to load a sprayer. Wide booms applying large water volumes at fast travel speeds can empty even a large tank in 30 minutes or less. If the fill also takes 30 minutes, then 50% of the spray day is spent idle just for filling. Increasing the fill speed with a new load system using 3” plumbing and a high capacity pump can reduce that to 10 minutes, adding acres per hour. Make sure, though that dry products are properly hydrated so they mix well and stay out of screens. Also consider the rate of chemical induction, as that can be a bottleneck. Tank wash down nozzles. These nozzles, installed at the top of the tank, direct a clean water source (containing a cleaning adjuvant if needed) to the tank wall, rinsing the pesticide off. Successive batches of cleaning improve the tank wall decontamination as the solution becomes more dilute. By making the wash down easier, tank cleaning can occur in the field immediately after spraying and the rinsate can be sprayed out in the field. This saves time and prevents point-source contamination. Self-cleaning line strainers. Consider this a productivity tool. Mounted on the pressure-side of the pump, these strainers use excess pump capacity to bypass particles back to the tank. A tapered design creates a rapid flow of liquid past the screen face generating continuous wash-down of particles. Regular inspection is still recommended, but the chance of a problem is significantly reduced. Because debris is returned to the tank, proper tank sump cleaning becomes more important. Pump. Some call it the heart of the sprayer. The pump pressurizes the spray mixture so it can be distributed evenly and atomized. To do this, it needs to produce high enough flow for our ever increasing water volumes, travel speeds, and boom widths, while maintaining enough reserve for agitation. Some use the system pump to draw water into the tank, which can present a bottleneck. Clearly, capacity and pressure are important. Pump impellers can wear and seals can leak, reducing performance. New or re-built pumps are available in long-lasting stainless steel, and the best new models have flange fittings and seals with either enhanced dry-run survivability, or dry-run capability. An upgrade definitely worth considering. Clean water tank with dedicated clean water pump. This is another productivity tool. Cleaning the tank in the field without stopping the sprayer becomes an option with this design. Rather than use the product pump to draw clean water into the tank, mix it up, spray it out, and repeat, this design allows continuous cleaning. When the product tank is empty (signalled by a loss of pressure), the clean water pump turns on and delivers clean water through the wash-down nozzles. The pump must have enough capacity to obtain a good cleaning spray from the wash-down nozzles. As the sump fills again, the product pump delivers it to the boom and also cleans the return lines. The end result is prompt cleaning of the tank and thorough, efficient dilution of the remainder. Boom remote control. Whether it’s for cleaning out boom ends or simply verifying proper nozzle operation, a remote boom section shutoff makes those jobs easier, safer, and more environmentally friendly. Boom remote controls let you turn on just the boom section you need to inspect. It’s also useful for nozzle calibration. Tires. 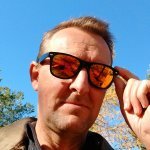 Ask yourself: what equipment do I spend more time in than any other, makes more passes over each field than any other, makes deeper ruts than any other, and gets stuck more often than any other? A new set of tires, or even tracks, might be worth considering. Low-pressure sprayer-specific tires with VF (Very High Flexion) technology are available from major suppliers. These offer sprayer-specific lug designs, they increase the footprint for increased floatation and less compaction, and they can also improve ride quality. Tracks, though considerably more expensive, are becoming available for sprayers and can make sense in some situations. Some of these retrofits can be costly. But they can introduce new life and utility into an aging chassis, resulting in higher productivity, higher quality work, or simply a better operator experience. All of these are important and are worth investing in. Here’s a Real Agriculture video of Tom and Jason talking sprayer retrofits at the end of Edmonton’s 2016 FarmTech. Note the snazzy “Sprayers101” team shirts!